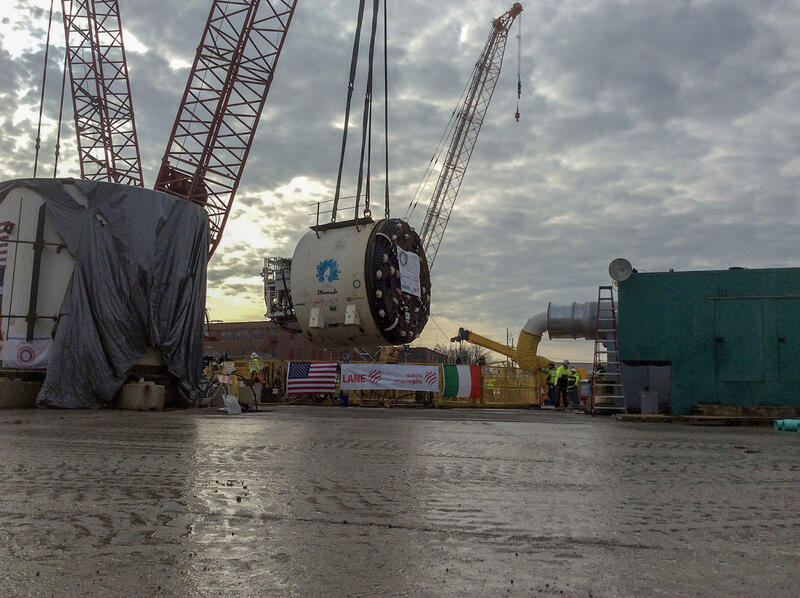 MamaJo, Fort Wayne's tunnel boring machine, awaits a descent into the 200-foot shaft where she will begin her journey under the city's streets. It will grind through bedrock to complete a five-mile-long sewer tunnel more than 200 feet below the city streets. But MamaJo’s placement is slightly delayed after problems with groundwater in the 200-foot-deep shaft. 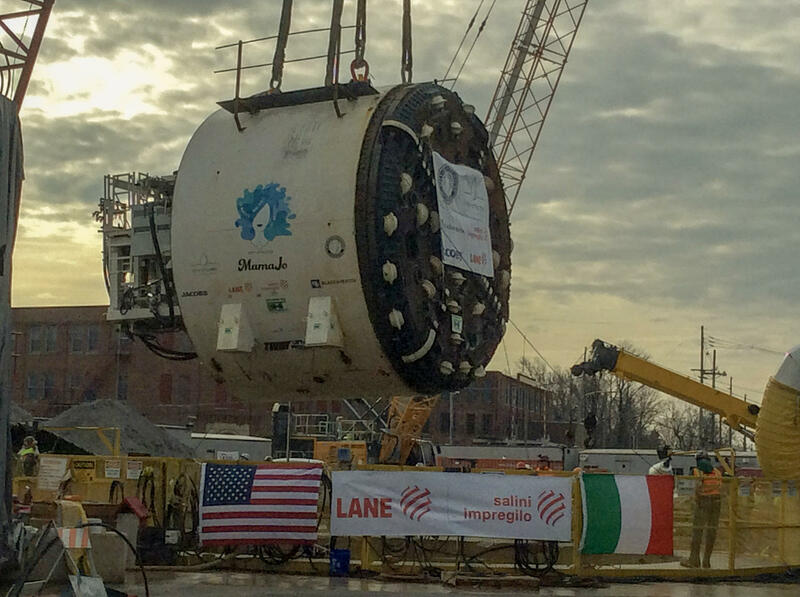 The tunnel boring machine is part of a $188 million project to address combined sewer overflow in Fort Wayne’s three rivers. Officials say the project it will help protect neighborhoods from flooding and reduce the amount of combined sewer overflow into the rivers by more than 90 percent. Close up of the cutter head on Fort Wayne's tunnel boring machine. According to Fort Wayne city officials, crews will be putting the pieces of the machine in place over the next few weeks. The parts will be connected underground and MamaJo should be ready to begin its work by early spring. Tunnel boring will continue through 2021, and crews will connect the tunnel to neighborhood sewers throughout 2023. The tunnel project should be operational in 2023.